Cal Thomas asks "What Happened to Optimism?" I finished quite a few books in 2008, and started many more. At any given time, I'll probably have 15-20 books going at the same time. Maybe that's a symptom of ADD! The Christmas Season is winding down and it's been a beautiful experience. I love Christmas. I love seeing our people go the extra mile in helping and blessing others. For instance, together, through our Giving Tree, we provided Christmas gifts to 175 children. When many of us did a little bit, it ended up making a big difference! On Christmas Day, over 200 people came to the church for Christmas Dinner. My heart was warmed as I sat with my family, and looked over the Fellowship Hall at the happy faces. Many of these folks would have spent Christmas alone. Afterwards, I spoke with Mike, the head cook, who, with misty eyes, told me how much this experience blessed him. Several families of the church served together joyfully. I'm so happy to see the young children of the congregation learning this valuable lesson: It is more blessed to give than to receive. The SHARE program, which provides a marvelous deal on food packages, is centered at our church. I was overwhelmed by the buzz of happy activity, as Mary Ann and the gang, prepared boxes of groceries for the waiting "customers." Several of our church people were involved in Toys for Tots, as well as community food drives. 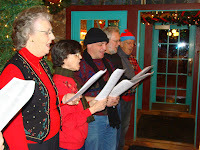 Some of our small groups went Christmas Caroling to the shut-ins. They came back reporting what a meaningful experience it was. Hannah and I conducted Chapel Services at the Nursing Home two days before Christmas. I noticed one dear lady, who cannot carry on a conversation, sang every word of the familiar Christmas songs. It brought back the joy of childhood. Entering the store a couple of weeks ago, I was met by a group from our church, singing carols at the Salvation Army Bucket. They shook me down! On the 23rd, a kind man brought a gift to the office to "help a family going through a hard time." I was delighted to play "Santa" and deliver the gift to a family who truly needed and appreciated the help. Now, for a Missional New Year!! 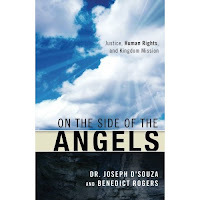 I've just finished reading a powerful, missional book by Joseph D'Souza and Benedict Rogers, called On the Side of the Angels. It is a plea for Christians to become advocates for human rights and justice. These, they argue, are central to Kingdom mission, and not secondary activities. Interestingly, although neither author is Wesleyan, they refer to the Wesleyan Methodists of 1843, who gave themselves to the abolition of slavery and women's rights. On the Side of the Angels stretched me out of my comfort zone. I disagree with a few of their points, but the general theme is an important correction to the evangelical church. "The Gospel of Christ knows of no religion, but social; no holiness but social holiness. 'Faith working by love' is the length and breadth and depth and height of Christian perfection." I don't think this idea will catch on in Hayward. Sandals and robes don't cut it when it's 20 below. Last Saturday evening, a group of carolers from our church went to the Original Famous Dave's to sing for their Special Christmas event. My son, Ryan, wrote a special song for the evening, and sang it: It was powerful. I hope he posts it soon on his myspace. We thank Thee, O God, for the return of the wondrous spell of this Christmas season the brings its own sweet joy into our jaded and troubled hearts. Forbid us, Lord that we should celebrate without understanding what we celebrate, or like our counterparts so long ago, fail to see the star or to hear the song of glorious promise. As our hearts yield to the spirits of Christmas, may we discover that it is Thy Holy Spirit who comes -- not a sentiment, but a power -- to remind us of the only way by which there may be peace on earth and good will among men. May we not spend Christmas, but keep it, that we may be kept in its hope, through Him who emptied Himself in coming to us that we might be filled with peace and joy in returning to God. The flu bug declared war on our house during the last few days -- five of the six Wilson soldiers fell. Only one strong warrior remained unscathed - Cathy. One of my kids came into the room where I was resting and said, "Tag, you're it!" The UPS man arrived late morning with three wonderful books from Amazon. 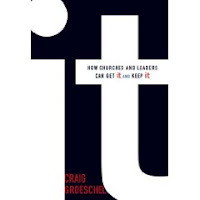 I tore the box open and dug right in to Craig Groeschel's IT: How Churches and Leaders can Get It and Keep It. Awesome book! I couldn't put it down! Page after page, I kept saying, "Yes! Yes! Yes!" The bottom line is having a true heart full of love for God and others. It's a great follow-up to Ablaze for God -- and written for today. I want all my leaders to have IT! By the way, Life Church, where Groeschel pastors, is one of the most innovative churches in the country. They have made many of their creative resources available to other church leaders for FREE! Good stuff Available Here. Because They Don't Have a Sense of Urgency. Dr. Kenneth Schenck, associate professor of religion at Indiana Wesleyan University, has written an insightful and concise guide for reading the Bible: Making Sense of God’s Word. Though one of the deepest thinkers in our tradition, Schenck handily simplifies the very complicated issue of biblical hermeneutics. Through a clear, step-by-step process, the reader is taught to move from the historical and literary context of a passage to life experience and today’s application. With all the bailouts happening in Detroit, seems like they've overlooked the Lions. Last week, in my newspaper column, I said that Christmas is FOR GIVING. This week, I’d like to take out the space between those two words. Forgiving means removing the space between others and ourselves. It’s taking away the distance from our hearts. Now, nobody wants to walk around with a heavy load of resentment and bitterness. Yet, finding a path to forgiveness is one of the most difficult things a human being can do. If it was easy, everybody would do it. But it’s hard – particularly if the offense was deep. Sometimes, the people who should be closest to us are the ones we struggle to forgive. That’s because the closer we are to somebody, the more opportunities we (and they) have to do or say hurtful things. Forgiveness is about letting it go and not holding the bitterness in your heart. It means placing the hurt and the one who hurt you over into God’s hands. The only way to find release is to release – to let it go. That’s what Christmas is all about, isn’t it? Extending forgiveness and grace? That’s the very reason Jesus came to earth, taking on the form of human flesh. He came to extend forgiveness and grace. He came, bringing mercy. This Christmas, the best gift you could give to yourself is to forgive the one who has wronged you. When you let it go, you will find an overwhelming sense of peace. You will discover just how heavy that burden has been for your spirit. Open your heart and your hand. Release the resentment. Let peace fill you completely. I like this quote -- and used it in my sermon at church this morning. Great, Lord, is Thy day. Let it not be small upon us. This is a re-posting of something I wrote a couple of years ago. I used it in my sermon this morning, and several people asked for a copy of the poem. It's a touching story. One day, after making a hospital visit in Duluth, Minnesota, I was drawn by the spire of the old First Presbyterian Church. A kind secretary opened up the sanctuary for me to sit and pray for a while. 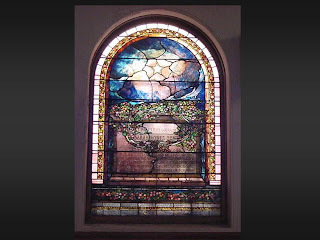 Gazing around, my eyes fell upon a beautiful stained glass window. It was the picture of a gravestone with dark purple and black hues overshadowing it. But at the top of the window, squarely in the center of a black night, shone a bright golden star -- which seemed to exude hope and light. The star was the focal point of the window. Build a little fence of trust around today. Look not through the sheltering bars upon tomorrow. God will help thee bear whatever comes, if joy or sorrow. I wondered what the story was behind Sarah Agnes Graff -- who passed into eternity at the tender age of 36. What was it about her that inspired such a beautiful work of art? Upon some further investigation, I found that she and her family had moved from central Pennsylvania a few years before, and that her husband, Phillip, owned and operated a very successful lumber and interior furnishings company. The Graff's seemed blessed, indeed, with a lovely home, a thriving business, a good reputation in the community, and five beautiful, healthy children. Tragedy, however, does not discriminate. It knocks at every door. Sarah fell ill with a high fever and severe abdominal pain. Before the doctors could find the cause or cure, she slipped into unconsciousness and died. She drew her last breath on November 20, the day before Thanksgiving. I imagined Phillip, the heartbroken father, and his precious children: little Herbert, only five; and Agnes, age six, along with twelve year old Carroll, and the two teenage daughters, Anna and Margaret,, standing beside an open grave at Forest Hill Cemetery, on that cold, bleak November afternoon. Forasmuch as it hath pleased Almighty God to take unto Himself the soul of our sister, Sarah, here departed, we therefore commit her body to the ground, earth to earth, ashes to ashes, dust to dust, in sure and certain hope of the resurrection to eternal life, through Jesus Christ, our Lord. And then, the grieving family walked away together, with deep sorrow and a glimmer of hope to face uncertain days. I've heard it said that there are two things that pierce the human soul: beauty and anguish. The Sarah Graff window at First Presbyterian Church captures both. 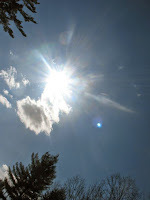 "The people walking in darkness have seen a great light. on those living in the land of the shadow of death, a light has dawned."
. . . God will help thee bear whatever comes -- of joy or sorrow. Research indicates that the average American owns nine Bibles and is actively in the market for more. Meanwhile, there are many pastors in other countries who don't even have one. Christian Resource International receives over 400 letters a month from pastors and Christian workers in developing countries who own no Bibles or Christian books. Now, here's their challenge. Clear out some of the Bibles sitting on your shelves and send them to someone who needs them! You can mail a four pound package anywhere in the world for $11.95. CRI will tell you exactly how to do it. One of my mentors was trying to teach me recently about something he learned playing basketball in college:Let the game come to you. Sometimes we get so determined to make something happen in our lives and ministries that we take dumb shots. We blow our assignments.We mistake frantic activity for fruitful accomplishment. If we truly believe that God is sovereign, we don’t need to MAKE anything happen. God makes things happen. It’s not that we become passive…blaming our inaction on God’s timing…or saying we’re being patient when we’re actually being timid. Instead, think of it as responding to God’s initiative rather than trying to get Him to respond to yours. Listening to the news, one would think that Obama picked Fred Phelps to say the Inauguration Prayer. The virulent backlash is unwarranted. President-elect Obama is right to hold his ground on this one. The irony is that if you look at the wide spectrum between conservative fundamentalism and left-wing liberalism, Rick is in the middle between them. He's a moderate, for heaven's sake! Some are calling him a gay-hating bigot. At the same time, fundamentalist watchdog groups are calling him a wolf in sheep's clothing. John Leo has made some insightful observations at Huffington Post. The problem with being a bridge is that you get stepped on from both sides! Ben Witherington gives some powerful insights for ministry (education) in today's culture: The Architecture of the Post Modern Mind. How would you like to have more money available to you -- even if your income doesn't increase? It's particularly refreshing, during the current economic downturn, to discover creative ways to cut spending, save wisely and give generously. I'd like to provide a copy for all the members of our church. During the Great Depression, church attendance surged as Americans turned to faith in difficult days. The New York Times recently reported that worship attendance is surging as a result of the economic downturn. Despite some news reports to the contrary, a review of almost 300,000 interviews conducted by Gallup so far in 2008 shows no evidence that church attendance in America has been increasing late this year as a result of bad economic times. In September, October, November, and so far in December, about 42% of Americans reported that they attended church weekly or almost every week, exactly the same as the percentage who reported attending earlier in the year. Ed Stetzer's take on it. 1) The econmic struggle has been a catalyst for some new people to come, and some absentees to return. They are seeking a spiritual center and turning to God for help and strength. Those who view church attendance as a "fringe activity" will let it go when they are forced to make hard choices based on the pocketbook. For instance, they will be sure to get their son to hockey practice, but attending worship services is optional. Generally speaking, the committed folks who consider church attendance to be central and foundational, will continue attending church regularly, regardless of what happens with the economy. One other thought: Now, more than ever -- the church needs to go to the people, rather than waiting for the people to come to the church. For instance, we are providing Christmas gifts for 150 children in our community who wouldn't have anything otherwise. Also, we're hosting a free Christmas Dinner for anybody who wants to come. Still, I'm hoping we can get our absentees back to church. Sunday mornings have been awesome lately -- better than ever, and I feel bad that they're missing out. America's pastor, Rick Warren, has been invited to give the invocation at Barack Obama's inauguration. Just think -- a few years ago Rick was having tacos with me. Now, he's hobnobbing with presidents. Brett Favre is one of the best quarterbacks to ever play in the National Football League. He currently plays for the New York Jets. Running back Leon Washington, when attempting to express the impact Favre has on the Jets, said, “You get into the huddle and you look into No. 4’s eyes, and you know you are going to have a chance to win” (USA Today, 11.19.08). Less than two minutes in the game. The Packers are down by two. They get into the huddle and look into No. 12's eyes and say, "Uh Oh." Several evangelical leaders sent an open letter to NAE President, Leith Anderson yesterday, in response to the recent departure of Richard Cizik, after his controversial comments on NPR. We respect the right of the NAE to select spokespersons that represent the organization's stated priorities. At the same time, we release this letter to show our deep gratitude for Richard's 28 years of leadership at the NAE, in which he has had a guiding hand in shaping a broad Christian moral agenda that has helped define American evangelical's public witness. It was unfortunate that Cizik overstepped his bound, and made statements that were not in line with NAE's values. His words did not accurately reflect the position of most of the people he was supposed to be respresenting. However, on the other hand, Cizik should be commended for broadening the scope of evangelical conscience in America and beyond. He helped pastors like me see that although we support the right to life and traditional marriage, there are other important concerns of compassion and social justice which demand our attention as well. Joy to the World and Hallelujah!! Yesterday, Cathy and I hosted the Pastoral Staff Christmas Breakfast. Including spouses and a few children, there were about 20 people jammed into our living room. As I looked around, my heart was filled with thankfulness for these dedicated men and women. We have a great ministry team at Hayward Wesleyan Church. We're not exactly the same. Each person is unique, and has his/her own special gift and perspective to bring to each situation. Our ministry together is not normally "singing in unison", but we do a fantastic job of singing in harmony -- and that's much better. Ask any choir director!! We finished the party by singing "Joy to the World" together. Later in the day, I stepped into the rehearsal of the homeschool teen musicians preparing for their Christmas program -- with electric guitars, drums, keyboard, violin and bass. They were rockin' out ""Joy to the World." Splendid! Splendid! Isaac Watts would give two thumbs up. Late afternoon found Cathy and I going on a double date with our dear friends, Steve and Linda to a Handel's Messiah Sing-a-long. We stopped for a quick bite at Culver's, and to our surprise, there was a lady in there playing Christmas songs on a portable organ. That's the first fast food I've ever had with organ accompaniment. I went to the lady and requested "Joy to the World", which she gladly fulfilled. Never did a burger and fries taste so heavenly! Let heaven and nature sing. Finally, we made our way to the Mitchell Auditorium, where we joined the audience-choir, and sang the Messiah. Well, Cathy and Linda sang, I bumbled along after the beared bass sitting in front of me, and even Steve joined in on the Hallilujah Chorus! I am reminded of a guy several years ago who came to me with $3,300. in cash and had me send it with no return address to needy families on two Christmases. In this envelope he had me place a $100.00 dollar bill and another envelope inside with $10.00 dollars in it with a note suggesting the recipient give this $10.00 dollars to someone else. We did that for thirty needy familes. This man that had me do this kind deed understood it is more blessed to give than to recieve. Santa asks, “What do you want for Christmas?” Little kids write letters with lists of things they want. Some of those cute letters made their way to the Sawyer County Record last week. That’s a precious thing, and I certainly don’t want to detract from the wonder little children experience at Christmas. Tis the season of unselfishness. Tis the season to share with those you love. Tis the season to be compassionate for those less fortunate. How about your neighbors who are suffering? As I was writing this article a desperate mother called me for help. They have no money. Her little girl has no winter boots, and a snow storm is approaching. There are many little children, right here in our own community, who go to bed hungry and don’t have adequate winter clothing. What can you do to help them? Three acts of advent: adoration, activism, and community-building. I'm struck in the advent stories of how focused they are on the people of God ... and today's text makes that abundantly clear. It comes from Matthew 1:20-21. What do we see here: Joseph is to marry Mary, in spite of what appearances are, because God's Spirit is at work in the conception of the child. The birth of that baby leads to the naming of that child: his name is to be Yeshua (Joshua, Jesus).Why? Because he will be a Savior of "his people." That people is undoubtedly Israel. The mission of the Messiah is to redeem, save, restore Israel. The work of God in Jesus is to create the people of God. God's work is ecclesial. We must observe that it does not say "he will save just individuals." 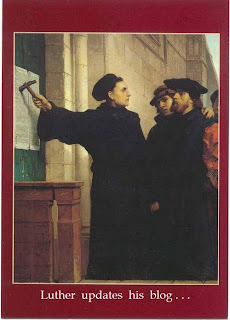 It is an ecclesial task. You know it's COLD when you have to scrape the INSIDE of your windshield! The Republican party must stop "shouting at the world" . . . if it is to win elections in the 21st century, former Secretary of State Colin Powell said Thursday. The same applies to churches who desire to impact their communities. A winter storm made roads hazardous, but our hardy northwoods congregation showed up anyway! Half the morning, it looked like a snow globe outside our large sanctuary window. It was absolutely beautiful. We were honored to have the Uke-Ladies and Laddies perform a couple of Christmas numbers for us. A choir of enthusiastic children did a fantastic job singing "Born on this Day." I used Col. 3:13 as my text and spoke on the importance of "removing the space in our hearts towards other people." I used Rembrandt's Return of the Prodigal as an illustration. Col. 3:13 in KJV says "Forbearing one another. . ." Rev. 3:10 in the message speaks of "passionate patience"
The inscription on Ruth Graham's grave reads, "End of Construction. Thanks for your Patience." 4. Christmas is Bearing. Bearing with one another. Bear with the failings of the weak. Bear one another's burdens and so fulfill the law of Christ. To illustrate, I used this powerful video. We concluded the services by standing in a large circle, holding hands, and saying the Lord's Prayer together. This afternoon, the family had Chinese food and watched the Packers lose again. (I think I'm going to be a Jets fan -- or maybe Bears) Later in the day, we played in the snow together, and then I gave our dog, Vin, a bath. That was quite an ordeal!! Learned this evening that The Crystal Cathedral is looking for a new Senior Pastor. Not interested!! We have our own natural (and much more beautiful) "Crystal Cathedral" right here in Hayward this morning. They both end up doing similar things -- but with a different motive. Chuck now leads the US bank bailout team. The Real Twelve Days of Christmas -- I like this! While we’re still the U.S. sales leader, we acknowledge we have disappointed you. At times we violated your trust by letting our quality fall below industry standards and our designs become lackluster. We proliferated our brands and dealer network to the point where we lost adequate focus on our core U.S. market. We also biased our product mix toward pickup trucks and SUVs. And we made commitments to compensation plans that have proven to be unsustainable in today’s globally competitive industry. We have paid dearly for these decisions, learned from them and are working hard to correct them by restructuring our U.S. business to be viable for the long-term. I am working with a well-intentioned man who is considering becoming a part of our congregation. After exploring Wesleyan Doctrine, he is hung up on one thing- that we allow women in ministry. He believes that 1Timothy 2:8-15 is a clear Biblical prohibition against females in ministry. I have always understood Paul's teaching on women in public worship environements in Corinthians and Timothy to be context driven and not a broad theological statement. This has been a learning experience for me because I learned that I was unprepared to defend our Wesleyan position, I had just accepted it. Any Biblical direction, orginal language clues, or historical perspective you could offer would be most welcomed. He is not bigoted about women, he feels they are equal in the eyes of the Lord but have been assigned different duties/roles in the kingdom. How would you respond to his question? Richard Cizik, long term lobbyist for the National Association of Evangelicals, has resigned today, in the aftermath of his controversial statements on NPR's Fresh Air. One year ago today, our young friend, Leah Conner, passed away. It was one of the most heartwrenching days I've ever experienced as a pastor. A lot has happened over these past twelve months. Sometimes it seems like an eternity since Leah's death. At other times, it seems like just yesterday. Please pray for Leah's family on this day of remembrance. My nephew, David, came home from the hospital this afternoon! This is quite miraculous, as yesterday, they wouldn't even let him sit up. He still has a long recovery ahead of him, and is going to be seeing the neurosurgeon soon. I must say, the Wilson family has a lot to be thankful for. What if the Church was Run Like the State of Illinois? 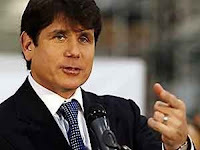 Boy, I'm sure glad America's churches aren't run like the state of Illinois. Otherwise we'd have a ton of churches and pastors giving preferential treatment and bending over backward for people in the church who give the most money. . . I was really happy to see the name of our General Superintendent, Jo Anne Lyon, on this open letter from Christian Leaders to President Bush regarding the recent persecutions in India. This is NOT a picture of our new puppy, Vin. A misplaced, short term optimism can lead to failure and disillusionment. It’ much better to focus on the long term. My friend, Roger Ciskie, isn't letting any moss gather during his retirement. He's one of the most inspiring people I know. "I was thirsty and you gave me something to drink." Please pray for my nephew, David, who was in an automobile accident, and is in serious condition with two broken bones in his neck. 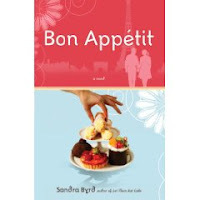 A while back, a publisher sent me a free copy of Sandra Byrd's Bon Appetit. I was supposed to read it and post a review here on my blog, but didn't get around to reading it. Instead, it pawned it off on my wife, Cathy -- so this is vicarious book review. It's the delightful tale of a young American girl, Lexi, who travels to France and goes to school to learn to become a pastry chef. Her faith helps her to face many challenges and complex relationships. Through this journey Lexi learns much about herself, her faith, and the value of friendship. Cathy says there are several recipes in the book worth trying. This is the first fiction-cookbook I've ever encountered -- but I think I'll just take Cathy's word for it. 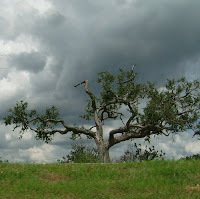 My friend, Kathy, posted a beautiful thought, Cold Sore Worry, on her blog today. Her husband, Rocky has a biopsy today which is really frightening. Yet, they are trusting in the Lord. . . regardless of what comes. She mentioned something about how yesterday's sermon helped them, and that really blessed my heart. Please pray for Rocky and Kathy as they walk through this vally of uncertainty. If Rajo Devi goes to church next Mother's Day, she will win the "Oldest Mother" Award. I recall once, a red faced guy came to me after church and told me I needed to preach more against sin. So, the next week, I preached against the "whitewashed sins" in the church, such as gossip, greed, sloth, self-centeredness and materialism. He came up to me after the sermon and said, "I didn't mean THOSE sins!!" Great lessons can be learned from anyone regardless of level of education or socioeconomic status. A good leader should have an open heart and an open mind. It was almost 20 below zero this morning, but church attendance was up this morning. These northwoods folk are a hardy lot. We enjoyed doing a rendition of "By the Rivers of Babylon" I preached on Exile from Habakkuk. A terrible cold made me feel puny. It took all my my energy to get through the morning. In the afternoon, we ordered Chinese food, and watched the Packers lose again. Happy first aniversary to our son, Adam and his beautiful bride, Allegra! Adam and Allegra are both students at University of Northern Iowa and live in Cedar Falls. After classes, Adam works as an inventory analyst for John Deere. Good stuff. So often, leaders want to tell rather than listen, argue rather than question, and discuss rather than act. Cathy and the kids went to a Bible Quiz Invitational, and I was the one appointed to stay back home and take care of our new dog, Vin. Didn't mind having a day at home alone. It snowed a few inches overnight, so Vin and I shovelled the driveway together. We're getting along great. I ran a couple of errands, and did a few fix-it projects at the house. I spent a couple hours watching "All the King's Men" on TCM -- it was a good lesson on how power can corrupt. It was a joy to discover that Tom Raven, a key leader of my youth group back in California, is now the head baseball coach for Trinity International University, in Deerfield, IL. It's been years since we've been in touch with each other. He's an awesome man of God, and it feels good to know that I had a part in mentoring him during his early years. A kind friend called to tell me that a Youtube Post I put up on the blog (Stethoscope) had some inappropriate links at the end. Oops -- didn't catch that. I took it down. According to a new study reported in the British Medical Journal, Happiness is Contagious. "The more happy people you know, the more likely you are yourself to be happy." 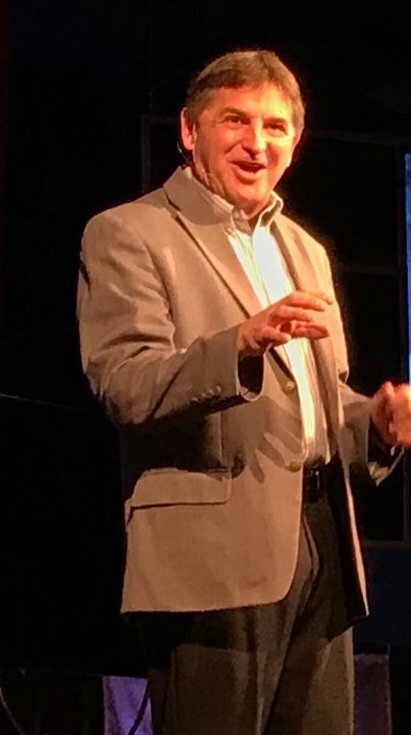 My friend, John Jackson, recently shared a good post about leading via preaching. Of course, the pastoral nurture of the individual is vitally important. It is also important, however, to speak to the group -- a charge to this specific body of believers. Kingdom Impact increases in our ministry when we recognize that we are preaching BOTH to the individual and to the congregation. Both are needed, and the effective preacher is both aware of the opportunity and the privilege to address both needs. How does this speak to my present? How does this speak to our future? I've found Steven Scott's, The Greatest Words Ever Spoken, to be a valuable ministry resource. Scott has collected all the recorded sayings of Jesus (via the Gospels) and has catalogued them by topic. It makes for a fascinating read. . . everything Jesus said about you, your life, and everything else! Putting this volume together must have been quite an undertaking. . . as merely attempting to read it through has proven daunting. It's more of a reference book than a "read-it-straight-through" type. A large Catholic Church in a big city put up a Manger Scene every year in front of its church for the month of December. The congregation decided to purchase a new baby Jesus one Christmas season. Every Sunday before Christmas people going by would notice the Manger Scene and particularly the baby Jesus. On Christmas Eve the Priest went outside to say a prayer before the evenings services. He noticed instantly that the baby Jesus was missing so he called the police. The officers arrived shortly thereafter and began cruising the neighborhood hoping to find the infant Jesus. After a few blocks ride they noticed a little boy pulling a glimmering new red wagon and to their surpise they saw the baby Jesus placed carefully in that wagon. They stopped their car and asked the boy where he was going with his red wagon and what did he have inside. The boy excitedly exclaimed that he had gone down to the front of the church every day and prayed to baby Jesus for a new wagon and promised him if he got it for Christmas Jesus would be the first one he would give a ride too. Denominations are in a challenging time right now... and I believe things will get worse for denominations before they get better. However, I believe the best denominational partnerships are yet to come when denominations get re-focused on serving churches and helping them fulfill the Great Commission. The poet, Edwin Markham, had put aside a great sum of money for his retirement. When he went to the bank to withdraw from the account, however, he discovered that a “trusted friend” had plundered his nest egg, leaving him penniless. Edwin now needed to write again in order to survive. He sat at his desk day after day but was unable to produce anything. He could think only of his loss. Bitterness and resentment were walls, shutting out his creativity. It was destroying his life. One day, he began to doodle on the blank page before him. As usual, he could think of nothing to write. So, he drew circles on the paper. Suddenly, as he gazed at the circles, he knew what he must do. Bowing his head in prayer, he poured out his resentment to God and asked for the strength to forgive. Has someone wronged you? Have you been hurt by a harsh word, a cruelty, a betrayal, or a snub? If so, you need to let go and forgive. Forgiveness really is a choice – and it’s for your own good. “But she owes me an apology!” might say. It doesn’t matter. You must forgive anyway. Forgiveness means adjusting our attitude. It is dealing with the bitterness so we can smile again. It is resolving the issues rather than allowing them to fester. You don’t need “permission” from the one who offended you to do that. The Lord’s Prayer says, “Forgive us our trespasses as we forgive those who trespass against us.” Can you honestly say these words? Are you able to release your resentment and forgive the one who hurt you? Never is a human soul so strong as when it dares to forgive an injury. Hello Pastor. I've got a bit of a toughie that I can't seem yet to explain. I'm preparing a Bible Study for Sunday School called the "Unfit Misfits" where I review the genealogies of Christ in Matthew and Luke. I've run across a name I can't find in any of my resources - Admin He's listed in Luke 3:33 as the son of Arni, aka Ram. do you know anything about him? Matthew omits this name, going directly from Ram to Amminidab. Can anybody help Paul out? He needs an answer before Sunday. whoever he choses to hear his voice. Josh posted this beautiful poem at Front Porch Life. I was impressed by something that happened a few weeks ago, when I was teaching a FLAME Course in South Carolina. These classes are to fulfill ordination requirements for people pursuing the ministry. Al Thompson, one of my students was a repeat -- He didn't need the class -- He'd already taken it (didn't flunk either, but passed with an A) -- and, in fact, is already ordained. Yet, he came back for another round of FLAME and guess what he did? He brought four other guys (Larry, Dale, Ken, and Joshua) from his church in North Carolina along with him! Isn't that cool?? Kudos to the Five Amigos for diving deeper and seeking ministerial training that will truly benefit you and your church!! What a great experience for you to share together! Way to go Pastor Al. You're an outstanding leader, and obviously loved by the people of your congregation. Could it be your arrogance that makes you think God owes you an explanation? 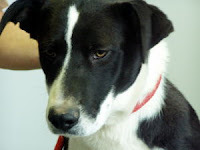 This morning, we adopted Vin from the Northwoods Humane Society. He's a good mutt -- a year old -- and full of affection. The Board of General Superintendents of the Wesleyan Church has released a Pastoral Letter on the Economy. I think they did an outstanding job of encouraging the churches to act in faith and wisdom during these troubled times. They are calling us to be. . .
ourselves. This can be a time to control our cravings and determine to live more simply. necessities of life and we have an obligation to share with them in Jesus’ name. money at them, but by God intervening with justice and grace. Christ allows us to approach life’s difficulties with calm, deliberate, confident steps. Bishop N. T. Wright speaks at Harvard -- "Christianity is the answer for those who want to change the world." Let me be thankful first, because I was never robbed before; second, because although they took my purse, they did not take my life; third, because although they took my all, it was not much; and fourth, because it was I who was robbed, not I who robbed. Keith Drury on Going off Sin Cold Turkey. Gratitute requires action. I have heard that the difference between thankfulness and gratitude is similar to going to eat at someone else's house. A thankful person will compliment the good food and company. A grateful person will clean off the table and help with the dishes. I talked with Steve tonight. He came through surgery well and is now on the mend. He's been through a lot lately -- but the Lord has carried him all the way. Right now, he feels like he was run over by a Mack Truck -- but at least he's on the mend. He wants me to thank you for your prayers. Thanksgiving is not a holiday -- it's an attitude! If it's just a holiday for us -- then we let ourselves off the hook too easily. "I'll celebrate Thanksgiving one day a year, and be grumpy the other 364!" Actually, Thanksgiving Day is simply a reminder of how we ought to live every moment-- a special day to celebrate what we are called to be all year long! Did you know that thankfulness and mental health go together? Counting your blessings can bring healing and strength into your life. Everything goes downhill when you are swamped with negativism and self pity. How does a person cultivate a thankful heart? 1. Go hunting for small blessings. Your life is packed with millions of small treasures! Sometimes, we are so hung up on petty annoyances, that we forget the abundance of joy. 2. Focus on what you have rather than what you wish you had. Perhaps you don't have everything you'd like -- Is this really the end of the world? Think about this: you are more wealthy than the majority of the world's population. Or consider this: You have a thousand times more stuff than the Pilgrims who landed on Plymouth Rock. Contentment is not found by obtaining more "things." It is a matter of the heart. 3. Quit waiting for someone to serve you, and commit yourself to serving others. Make it your goal to encourage and inspire others. Think "Here to Serve" when you walk into a room. Jesus said that the "greatest" person is the one who serves. Investing in servanthood was good enough for Jesus, so it should be good enough for the rest of us. 4. Become a generous giver. Generous people are always the most happy individuals around -- they have discovered that giving brings tremendous fulfillment. Someone once said, "Give until it hurts." But I don't think it works that way. Instead, we ought to say, "Give until it feels great!" 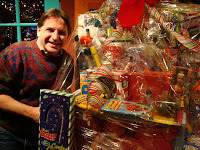 Killing the stingy miser within you is the only thing that hurts -- once you get past that, giving is a joyful adventure! 5. Go on a complaint fast. Intentionally refrain from complaining and criticizing. If a gripe comes to your mind, grab it, handcuff it, stick it in jail, and replace it with a praise. 6. Smile. Your day automatically goes better when you face it with a smile. It makes you feel better, and look better too! All of your friends will thank you for smiling. Who wants to look at a grouch? 7. Pray and read the Bible regularly. If your problems are big enough to stew over, they're big enough to bring to God in prayer. Good things happen when people pray. The Bible is filled with faith inspiring, love motivating, and hope producing passages. A daily dose of God's love letter will give you strength for every situation. I never want to write to write. I want to write because I can't not write. Cathy and I went on a double date with our friends, Steve and Linda, to Olive Garden and a performance of the musical comedy, Church Basement Ladies last evening. The play was thoroughly enjoyable -- with an odd familiarity -- bringing to mind many "long-forgotten" church basement memories. "This is most certainly true!" Late last night, I received a phone call, telling me that the authorities had just entered my friend, Dean's house, and found him lying dead on the floor. I went immediately, and tried to help the officers, as well as Dean's daughter, who was sitting in a vehicle outside. She had called her father several times, leaving messages -- but there was no response. Finally, in desperation, she contacted the law, and that's how they discovered he had passed away. It appears he died sometime on Saturday. My heart is sad. I'm thankful, however, that I followed the prompting a few days ago, and went to his home for a visit. Hindu extremist groups are offering money, food and alcohol to anyone who murders Christians and destroys their homes. The going price to kill a pastor: $250. Seriously. My brother, Steve, who lives in Ohio, is having surgery Tuesday morning. Please pray him. Dr. Scott W. Sunquist, Professor of World Mission and Evangelism at Pittsburgh Theological Seminary, recently wrote a powerful two-part article on how the church is not training leaders to engage the present culture. Just received word that my dear friend, John Metz passed away this evening. My heart is sad right now. Here's what I wrote about him a while back. John will be deeply missed. Please pray for his wife, Phyllis and their children. I wrote about my friend, Fred, a couple of days ago. This morning, at 5:00 a.m., he passed away. I'm so thankful to have had the opportunity to be his friend and to be near him during his final days. Fred loved Elvis, so the last couple of times we visited, I concluded our conversation with a some "Elvis hymns." Needless to say, I'm no Elvis Presley. Fred and Judy have dogs and parrots. 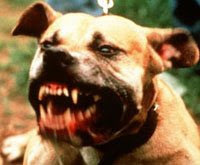 The first time I sang, the dogs howled. The second time, the parrots screeched. Fred really enjoyed it -- and that's what counts. It doen't matter what the dogs and parrots thought! I think we'll do Peace in the Valley for his memorial service next week. History is always moving. It never stops. How will we as followers of Jesus participate in those conversations? What do we really have to say? The recent economic downturn has had a devastating impact on many families in the Hayward area. I've served as a pastor here in the northwoods for nearly 18 years, and have never seen conditions like this before. People are being laid off. Homes are going into foreclosure. Businesses are folding. Families are running out of food. 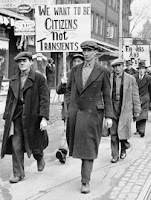 Bad news from Wall Street leads to less business on Main Street. 1. God is far bigger than the problem. If the financial crisis looms like a mountain, remember -- God is the mountain mover! There's no challenge too great for the Almighty. There is not one situation beyond His ability. Instead of telling God how big your problem is, tell your problem how big God is! 2. Hard times teach us wisdom. Difficult days force us to stop and evaluate where we are, what we're doing, and why we're doing it. Nobody becomes wise with ease. It takes trouble to grow in patience and understanding. 3. The valleys are where we grow. We rejoice on the mountaintops -- but we grow in the valley. Hardship forges character and makes us better people. The sweetest people I've ever met are those who have gone through the most difficult experiences. 4. There's always a reason to be thankful. If we look for blessings in the darkest days, we will find them. Thanksgiving brings a special joy and peace. 5. We are never poor if we are rich in love. In loving relationships, we find true wealth. Money can buy things, but not true happiness. My dear friend, Gerry Anderson, served on our church Stewardship Committee until he passed away last year. I recall several times, when the budget was tight, he would say, "It's only money." Life is much more than money. We must never let money troubles take our focus off the more important matters of life. 7. We're blessed to be a blessing. b) be a blessing to someobdy else who is less fortunate. 8) There's always hope at the end of the day. No matter what happens, you'll get through it. The sun will rise tomorrow. When all is said and done, all will be well. Here's an old hymn that reminds us to trust the Lord in the dark times. Yesterday morning, I was called to the bedside of my friend, Fred, who is dying of cancer. I was deeply honored that he had invited me to come and enter this part of his life with him. I wasn't sure where Fred stood spiritually, and prayed all the way to his house that a door would open, and that I would be sensitive to the Holy Spirit's promptings. I didn't want to be pushy -- but I knew Fred needed assurance and peace. The Lord arranged everything beautifully. We were able to talk deep. I shared several verses of Scripture, sang a few hymns, and prayed. God was present. The whole room was filled with love. At the end of our conversation, Fred shared a clear testimony of his faith -- that he is trusting in the Lord completely. I don't know how many days my friend has left upon this earth -- but I do know the peace of God will sustain him. This Sunday, we're going to light the faith candle for Fred. Here's a cool site that provides the entire Bible on one page. Special thanks to my friend, Shirley Boyle, for passing it along to me! Recently, I read a heartwarming Christmas Story -- My Mother's Wish, by Jerry Camery-Hoggatt. It's a tiny little work, only 81 pages. I devoured it in one sitting! It's the enchanting tale of "contrariwise" Ellee Crumb McKutcheson, and her complicated relationship with her domineering mother. Ultimately, it's a parable about hopes, expectations and love. Hoggatt, a professor at Vangaurd University, is a master story teller. His humor is fabulous! There were several "laugh out loud" occasions as well as a couple of Kleenex moments. A great read for Christmas, but I would suggest reading it first before giving it to your mother. Nothing comes but in answer to prayer. I participated in telephone conference call yesterday afternoon. One of the members (nobody knew who) of the group had a cell phone that was acting up -- squealing, feedback -- a bunch of static. The noise was so distracting, that we were unable to finish our business, and had to reschedule our phone conference to a time when everybody will be on land lines. The lesson I learned from this experience: One person making a lot of static can mess things up and keep a group from accomplishing what they need to do. A great post by Tony Morgan: Ten Reasons Why You're Probably Going to Fail. 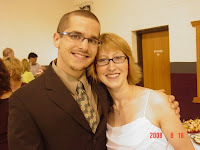 My blogger buddy, Mark Batterson posted on his recent talk at the Sticks Conference. I was out of town speaking on the other side of the country and thus, was unable to attend this awesome event for pastors in small communities. Too bad. I really wanted to be a part of it. A rural or small town church is usually very positive. A rural pastor is usually positive too. However sometimes negative ideas and feelings can take control. Let me suggest 7 vital attitudes a small town or rural church and its pastor need to have in order to keep its ministry going and growing. 1. Never talk behind one another's back. 2. Always pray daily for the pastor and for one another. 3. If you have a difference with another member pray about that difference and go to that person with an open heart to him or her. 4. Tell the devil to get out of the church in the name of Jesus every day. 5. Keep the written word as your guide to faith and polity. 6. Listen to other's ideas about order of worship and music and try out some of their ideas. 7. Always respect your pastor and his or her ministry. Introducing the first Wilson snowman of 2008. Hannah named him Herbie. Yesterday morning, I dropped Dr. Duewel off at the airport for his return trip to Indiana. We drove to Minneapolis the aftermoon before, so we could break up his trip, and have some special time together. I was wondering how we were going to pass the time in the evening. I was fairly certain Dr. Duewel wouldn't be too interested in watching Monday Night Football or some crime drama. It was about 7:00 p.m. -- three hours until bedtime. Do you know how we spent it? We prayed and sang hymns together. He went through his normal prayer routine, and I was invited to hover at the edges where the glory spilled over. It was an experience I will remember for the rest of my life. As he prayed through his daily prayer list, he would often stop and ask me about the person he was praying for. . .
Do you know Leith Anderson? He has such responsibility! I've only met him a couple of times, but I pray for him every day! Do you know John Maxwell? A few years ago, the Lord laid a heavy burden on my heart to pray for him every day. I had been in a meeting with our new General Superintendent, Jo Anne Lyon, last week, and she told me that years ago, she and Dr. Duewel had crossed paths. "I think he might remember me," she said. So, I asked Dr. Duewel, "Do you remember Jo Anne Lyon?" "Do I remember her?? Of course I remember her! I remember her every day in prayer! I also remember the other two Wesleyan Generals, Tom Armiger and Jerry Pence. I don't recall if I've met Dr. Armiger and Dr. Pence, but I pray that God will bless and lead them daily." This is amazing, because Dr. Duewel is a member of the Free Methodist Church. He's 92 and prays for our Wesleyan leaders by name every day. I'm 47 amd couldn't name a leader of the Free Methodist Church if you put a gun to my head!! At the end of our prayer session, I knelt before him. He laid his hands on me and prayed a special blessing of anointing and empowering over me, my family and my ministry. It was a beautiful moment that I will cherish forever. As we drove in rush hour traffic towards the airport yesterday morning, we sang "Victory in Jesus."